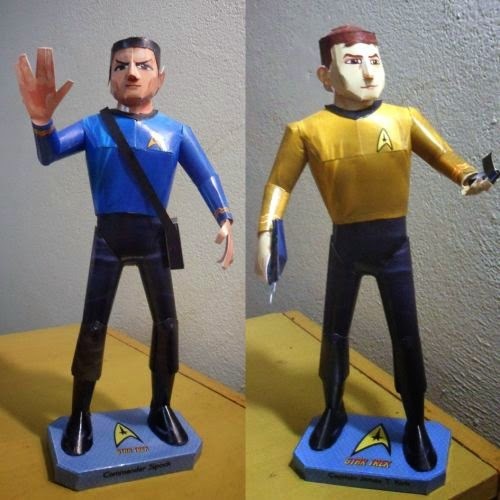 It's time I finished the half-finished papercraft projects I have cluttering up my flash drive! Here's one I can mark off my list: Mumm-Ra's time machine. This pyramid-like time machine appeared in a single episode of the ThunderCats animated TV series. 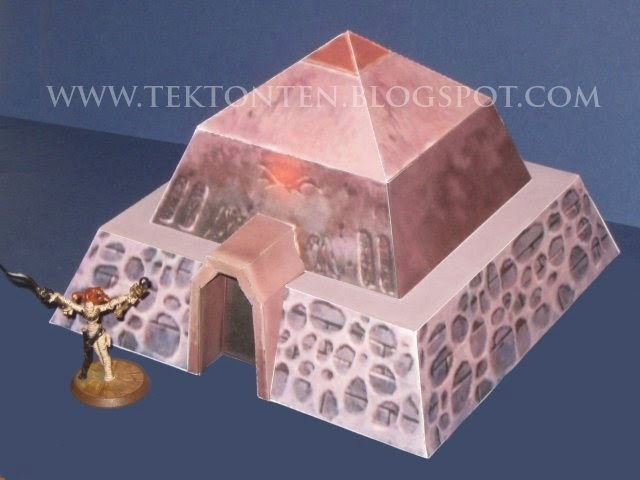 Mumm-Ra made use of the magical pyramid to travel through time and space in a plot to wreak havoc on the lives of his enemies, the Thundercats.I didn't have any particular purpose in mind for this paper model when I started, but it might work as a prop for miniature gaming. The mummy figure in the photo is from the Heroscape board game which has figures that are roughly 32mm / 1:48 / O Scale. The download (available here) includes A4 and Letter size PDF templates and a Pepakura PDO file for reference. Be warned, the doorway of the time machine is a tricky build! 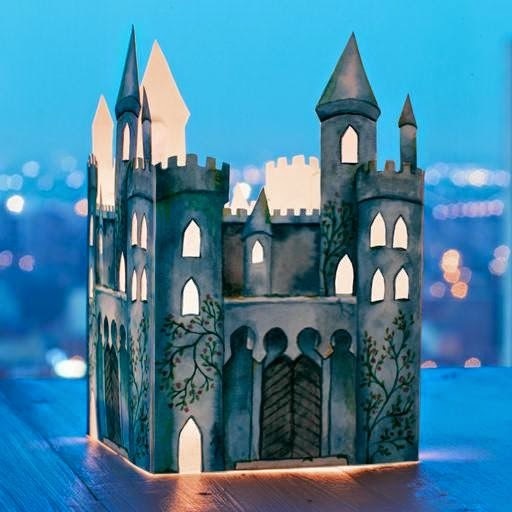 This easy-to-build papercraft castle lantern has a template with only four parts. A soft glow in the windows is achieved by covering them with tissue paper and placing a LED votive inside. The JPG template for the lantern may be downloaded at Sweet Paul. The weapon of choice for DC Comics' Hawkgirl is a mace. In the Justice League animated series, Hawkgirl's mace is made out of Nth metal which has anti-magic properties. 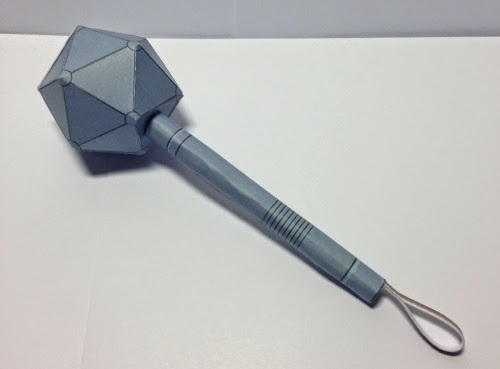 This paper model of the mace was created by DeviantART member Mand-rinn. The template may be downloaded here. 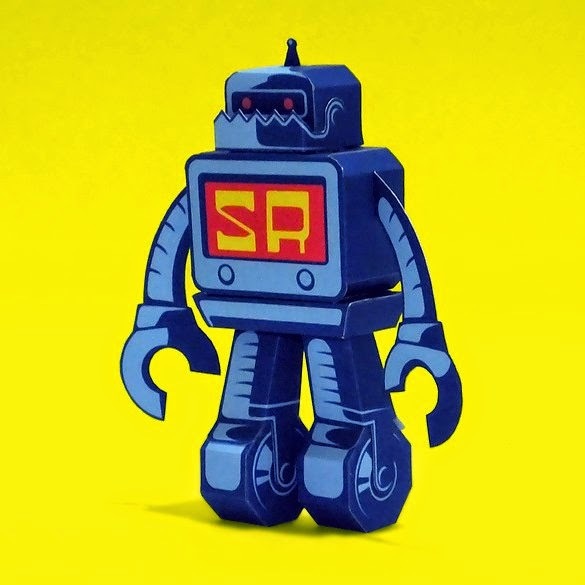 Master paper toy creator Salazad liked Sticker Robot's logo so much he created a paper toy of it. 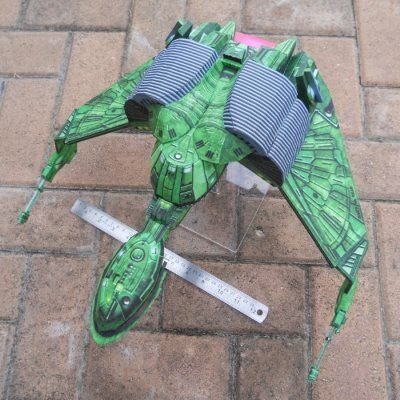 The PDF template for the retro robot may be downloaded here. Send a photo of your paper toy build to Sticker Robot and get free robot stickers! Follow the link for giveaway details.